Types of constructions vary with respect to the structure of the buildings and the materials used in their making. Selection of a building’s structures and materials largely depends on how it is going to be used. Commercial buildings are constructed in a bit different way than those of the residential ones. Let’s get to know about four different kinds of constructions and see which is best of all. Everyone is well familiar with this type of construction because this is used in all types of buildings. Concrete frame construction, as the name indicates, is basically frame or skeleton of concrete and this is used in almost all kinds of buildings. The type of construction consists of beams and columns. Beams are horizontal members of this frame whereas vertical members are called columns. Slabs are the flat planes to walk on and the basic thing which provides support to loads is column. As far as the strength and stability is concerned, the concrete frame construction is durable enough provided its columns are kept safe from any kind of damage. This type of construction has high strength and durability. Usually, steel frame construction involves the usage of steel called mild steel, which is highly strong. Along with strength, steel also has the flexibility for which it can bend without being cracked. This feature makes a steel frame construction more resistant to seismic attacks, winds and other similar natural disasters. The type of structure is considered the safest one because incase of any mishap like earthquake or storm, the buildings bend out of shape, or deform, instead of smashing on the whole, this way, the inhabitants get a fair chance to escape themselves and their valuables. Another additional quality of this type of material is its plasticity and ductility. However, steel buildings are vulnerable to heat and lose strength when exposed to fire or high heat. The type of construction involves light wood frame and is not that popular in Pakistan. Usually the homes in United States and in some areas of Europe have wood frame construction. The good thing about this type of construction is its ease of making as it does not involve too heavy tools or lengthy methods. Nor do you need to mix heavy materials together; it is all about hiring right people with proper carpentry experience, who are master at joining the logs into a specific and durable frame. The main tool that is used in timber construction is ‘handheld nail gun’. The type of construction is not only trendy but is quite economical to construct. However, there are also some drawbacks attached with type of construction. Made of wood, the construction is highly susceptible to fire and breakage. In case of hurricanes, winds or heavy rains, it might crack into parts. This is the most common type of construction all around the globe as it simply involves brick and mortar. It is mostly used in residential buildings and involves thick and heavy masonry walls of brick or stone that is used throughout the structure involving walls and ceiling. Today, the type of construction does not involve a load-bearing masonry but a lighter frame structure with strong materials. In Pakistan, this is considered the most common type of construction both in residential as well as commercial buildings. However, brick and mortar construction is not suitable for multistory commercial buildings. 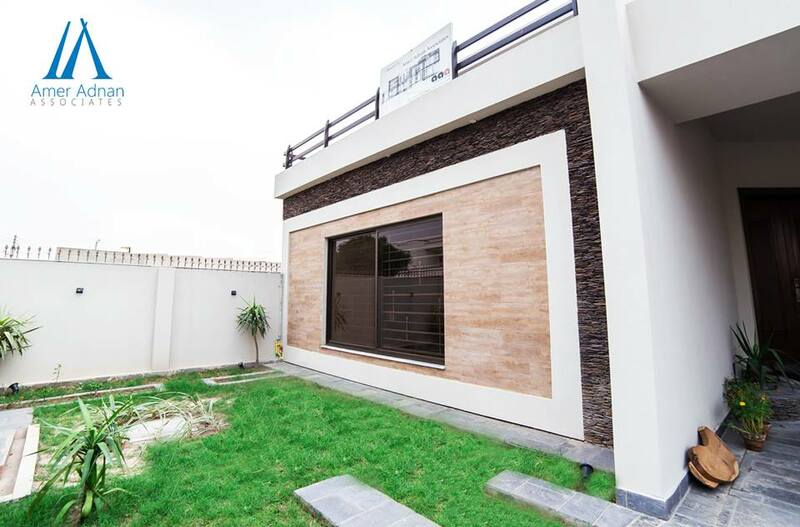 Taking the type of building and its usage in view, a renowned architect in Pakistan gives you best suggestions about the type of construction you should go for.